A great baby lotion for mum and a baby with dry skin. 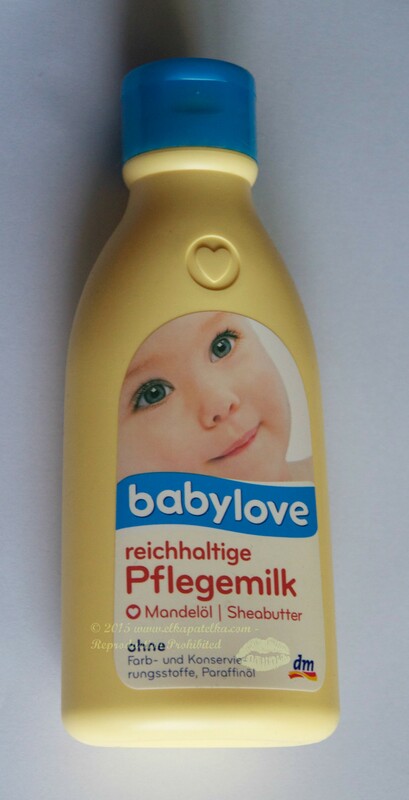 If you like baby cosmetics, like I do, try this DM baby lotion. I buy baby shower gels or baby lotions as they all are all tested dermatologically very carefully, not like most advertised brands cosmetics. The baby product have higher quality standards as it touches the baby skin. This baby lotion has enriching almond oil and Shea butter, without colorings, preservatives and paraffin oil, which can cause allergic reactions on sensitive skins.